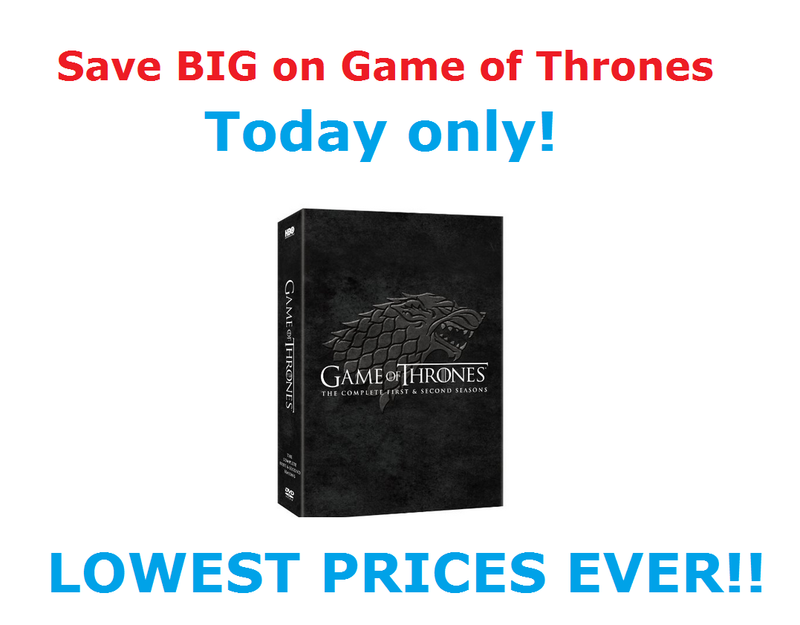 TODAY ONLY, get "Game of Thrones: The Complete Seasons 1 and 2" on DVD for $47.99 or Blu Ray for $55.75 SHIPPED! Both deals are 60% off regular price and are the LOWEST PRICE they have EVER been on Amazon! The DVD set normally hoovers around $70 and the Blu Ray typically goes for $76. These are Mega Savings!